International singer Charice Pempengco finally mended her broken relationship with her mother. It was June last year when Charice came out in the open about he sexual preference and had a misunderstanding with her mother, Raquel. In her exclusive interview in Startalk, an entertainment news show of GMA Network, on September 20, she confirmed that they had finally reconciled. Through email last June, Charice started talking with her mom. Then they soon chatted through Skype and it was the first time that her mom asked about Allyssa Quijano and granted permission to be called ‘Mommy’ by Charice’s sweetheart. It was her mom who picked them up from the airport when they got home after a 5-month tour in USA. 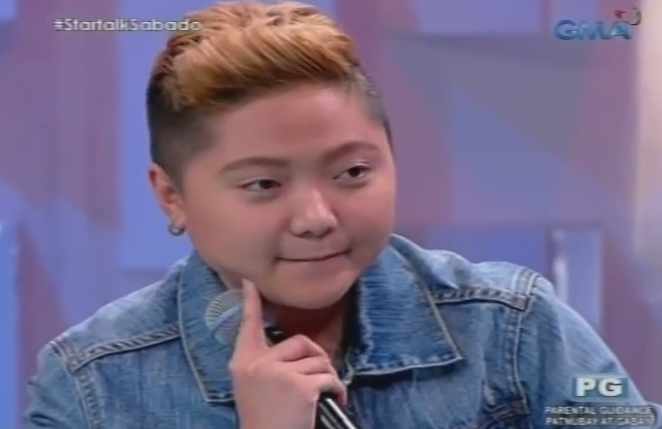 As in can be remembered, her mom greatly disapproved when Charice told the public about her sexuality. She even changed her image and publicly announced her relationship with Allyssa. According to Charice that she already expected that people would be shocked about her sexuality and she said that she had tried so hard to make people happy and thought that coming out in the open is her reward for herself. She was surprised to feel the love of her fans in the Philippines while her international fans had been shocked and learned to accept her new image. She thanked her mom for the understanding, acceptance and love. She had now reached her dream bonding in her family. She admitted that she got her courage from her mom. Finally, each member of the family had been free from the misunderstanding. When asked about her message for Allyssa, she sang the song ‘(Everything , I Do) I Do It For You’. When asked if she would marry her girlfriend, she shared her decision to work hard for her career first, save money and enjoy their lives while they are still young.